The Tax Cuts and Jobs Act of 2017, which went into effect this February, included a little-known new program called “Opportunity Zones” (OZs). According to the IRS, an OZ is “an economically-distressed community where new investments, under certain conditions, may be eligible for preferential tax treatment” in order to incentivize economic development. At first glance, the concept has enormous promise, but it also feels oddly familiar. That’s because this program, or at least its core principles, are far from new. In fact, there have been several different iterations of place-based tax relief programs since the early 1980s. The idea was first presented in Congress in 1980 by Rep. Jack Kemp (R-NY) and was then picked up by both the Reagan and H.W. Bush administrations. Ultimately, President Reagan failed to garner support from Congress to pass legislation. President H.W. Bush was able to get legislation through Congress, but he vetoed the final bill because of provisions added to it that increased government spending. The 1993 Omnibus Budget Reconciliation Act established nine “Empowerment Zones” and 95 “Enterprise Communities.” This was a five-year, $3.5 billion program made to “stimulate the economy, create jobs and revitalize economically distressed urban communities” through public-private partnerships, regulatory relief, tax incentives and block grants. The Enterprise Zone Approachwas supposed to “encourage private businesses to take root and grow” with the aim of “making such an area more attractive for private investment and job creation.” The Clinton administration eventually phased out block grants to primarily focus on tax relief efforts. The Trump administration’s Opportunity Zone Initiative is the latest attempt in a long history of tax relief programs aimed at incentivizing investment and creating jobs in economically distressed communities. It is also common practice among U.S. cities to provide tax relief to businesses as an incentive to set up shop locally; the most famous case currently underway is the fight over Amazon’s second headquarters. Historically, these tax incentive programs have fallen short of their intended impact. While it is too soon to measure the impact of President Obama’s Promise Zone initiative, Enterprise Zones from the Clinton administration have been evaluated by the US Government Accountability Office (GAO). One study from the GAO reviewed Enterprise Zones established in Maryland and tried to measure the effectiveness of the tax incentive program. Overall, the study found the employment rates were boosted in the three designated zones, but that the increase could not be tied to the program. They discovered that “market access … site characteristics … and financial incentives” had greater influence on business decisions than tax cuts. Another GAO study reviewed how Enterprise Zone communities were spending federal dollars and dispersing tax benefits to ensure money was being spent properly and to link the program benefits to return on investment (ROI). They found that communities were indeed investing grant money in community development projects that supported education, housing, job training and loan programs. Unfortunately, the study also found that the IRS had no data available that tracked tax benefits from the Enterprise Zone program. The GAO noted that this “lack of data limited both federal oversight and GAO's ability to assess the effect of the program” and that there had been “similar challenges in assessing the use of tax benefits in other federal programs.” It is important to note that the GAO was able to collect and use some data to report improvements in the poverty, unemployment and economic growth rates in some Enterprise Zone communities. The following map, built by the Opportunity360 team at the nonprofit organization Enterprise with support from the Kresge Foundation, highlights all Qualified OZs in the US. Communities across the country interested in benefiting from the OZ program can use this tool to better understand their eligibility for OZ designation. Users can browse eligible tracts, filter by other federal place-based programs, and look at outcomes related to housing stability, education, mobility, economic security, and health. Tax Relief Has Limited Impact on Business Decisions — As previously noted, GAO reports on Enterprise Zones found that “market access and site characteristics” have a greater influence on business decisions than tax cuts. Additionally, the Brookings Institute reported sparse academic evidence supporting the effectiveness of tax-incentive based economic development programs. Lack of Governmental Oversight — The GAO report mentioned earlier also noted the challenges with a lack of data to enable federal oversight and evaluation of effectiveness of prior programs. Additionally, Rosenthal highlighted the “remarkable lack of a governmental oversight role” in the OZ program. Given this, monitoring where and how QOF dollars are spent or ensuring money is spent appropriately will be incredibly difficult. Trouble Linking Tax Benefits to Economic and Social Outcomes — Academic research has repeatedly found little evidence to support that tax incentives “...are properly targeted to businesses and industries that can offer the greatest economic and social benefit.” While the intention of the Opportunity Zone program is to create a fund that will “invest in businesses in a targeted community,” the federal government is leaving QOF investment decisions in the hands of local governments with little to no guidance on how to effectively reinvest that money. This provides no guarantee that investments will be made in businesses that will grow and create jobs for local residents. While it will be a challenge for local governments to make effective QOF investment decisions, their close interaction with affected communities will help them address local priorities. A recent analysis by the Brookings Institute noted that the first 18 states to submit their OZ designations have done a great job picking “deeply impoverished places” to receive the tax benefits for investment. The average poverty rate of OZ designations in these states was 30%, the distress indicators of the selections (i.e., child poverty and educational attainment) were higher on average than the “low-income tracts they did not select, and selections had larger minority populations.” The choices states make at this stage of the program are incredibly important because it will ultimately determine whether distressed communities truly benefit from investment opportunities, or if investors will be the only true beneficiaries. SMB Intelligence built this mapping tool to help local governments and QOFs direct capital to growth-minded small businesses. They do this by identifying “investable operating businesses,” as well as “prime growth activity” in OZs. “Prime Growth” is a growth-based classification standard created to identify the small businesses currently most likely to experience substantial growth and create new jobs. For a more complete breakdown of what constitutes an “investable operating business” or “prime growth activity” please go to their website. “Investable operating businesses” are represented by blue dots on the map and “prime growth activity” by grey dots. The database that powers this map is updated every two weeks, with data sourced using an extensive open-source intelligence operation and self-reporting from individual firms, local agencies and nonprofits. Run the cursor over any of the dots on the map and one can see both growth-based and socioeconomic indicators for the firm, as well as information about the owners and the census tract they are located in. 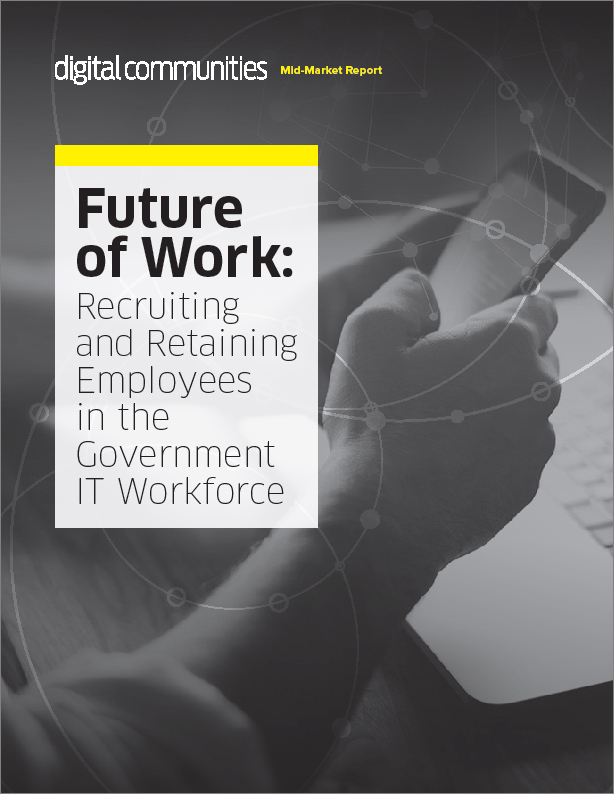 It also provides insights into current job creation status, noting whether businesses are currently adding new jobs or will be in the near future. The database incorporates the Investment Score and Gentrification Flag created by the Urban Institute to determine if the area is likely to have gentrified already, and what level of investment has previously flowed into the zone. Another challenge for local governments and QOFs in making investment decisions through this program is that the small business sector is incredibly large. Many firms will likely not qualify as “investable operating businesses” and many are not primed for growth. This tool is meant to help funds and agencies quickly identify firms that are likely to qualify and potentially provide a positive ROI in the future. It is also meant to assist local entrepreneurs to identify and pursue new businesses in OZs. Just a few weeks after I interviewed Mr. Waters in early September, SMB Intelligence announced its pilot cohort for the Opportunity Zones tool in early October. Participants include Empire State Development, the California Governor's Office of Economic Development, the DC Mayor's Office, Access Ventures, the Fund for Our Economic Future, the Jain Family Institute, and Opportunity Alabama. They have also reached an agreement to support research by economists at the Federal Reserve Board and the White House Council of Economic Advisors. The map is also already being put to work by local government agencies, nonprofits, and small business investors. Fittingly, implementation of this place-based program benefits from geospatial data to help stakeholders make informed investment decisions. Mapping has a key role to play in the ability of the OZ program to succeed and to improve economic conditions in distressed communities through strengthening small business ecosystems.